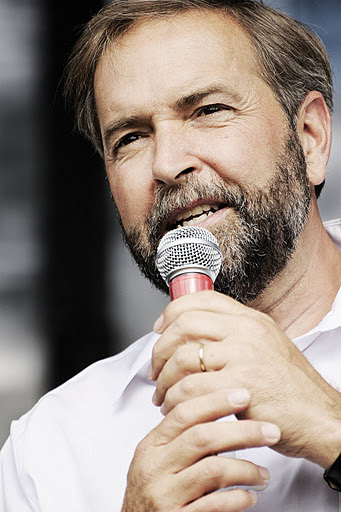 Canada’s largest private-sector union, the United Food and Commercial Workers (UFCW Canada), announced today that the UFCW Canada National Council has voted to endorse Thomas Mulcair for the leadership of the New Democratic Party of Canada. “UFCW Canada members across the country are impressed by the strong field of candidates who are all fully committed to creating a better, fairer Canada, and we are all inspired by their sincere desire to create a government that works for working people,” says UFCW Canada National President Wayne Hanley. “UFCW Canada is especially inspired by Thomas Mulcair, who is the best candidate to build upon the NDP’s historic success in the last federal election, and the best candidate to immediately represent the interests of UFCW Canada members and all working families,” adds the national leader of Canada’s largest private-sector union. UFCW Canada is a progressive and inclusive organization dedicated to workers’ rights and a better future for members, families and the community. UFCW Canada is Canada’s largest private-sector union with over 250,000 members from coast-to-coast working in your neighbourhood in the service sector, retail, hospitality, healthcare, financial services and manufacturing, and in every sector of the food industry from field to table.